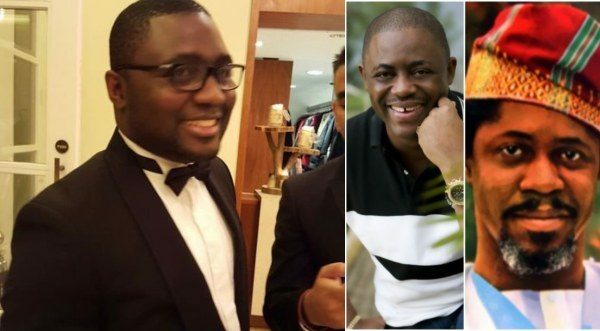 A Nigerian lawyer, simply identified as Kehinde took to Twitter to claim that he saw Femi Fani-Kayode’s dad, Chief Remilekun Adetokunboh Fani-Kayode, in a London prison. Though Wikipedia says Femi Fani-Kayode’s dad is dead but according to the Nigerian lawyer, he saw the 91-year-old man serving his time when he visited Belmarsh prison in London. Please Nigerians Who’s Remi Fani-Kayode? Is He Femi Fani Kayode’s Father? If He Is Then I’m Confused As I Visited The Belmarsh Prison In London & Saw This Old 91 Yr Old Man Remi Serving His Time Yet Wikipedia Says He’s Dead Did He Fake His Death Or What?